Our round Glitter pet id tags are made from grade A materials from our suppliers in the far east. 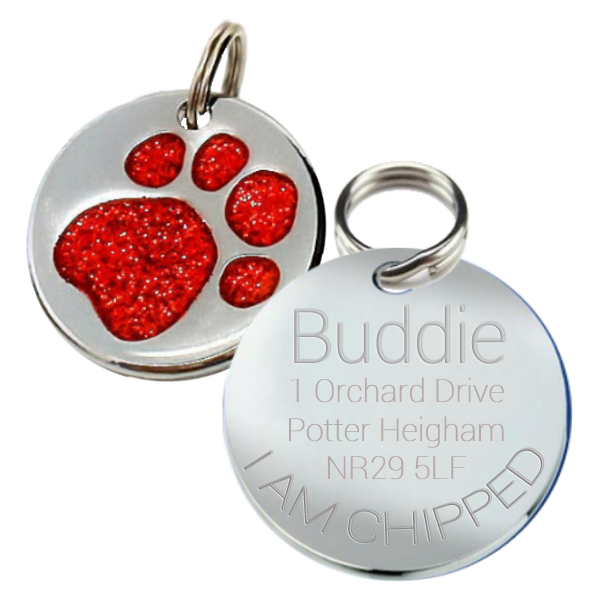 This tags are coated with a highly polished nickel chrome that will not wear away fast. Unlike alot of the other suppliers on the web we purchase the best tags for you and not the seconds that may not have a thick enough coating on them to take the engraving. 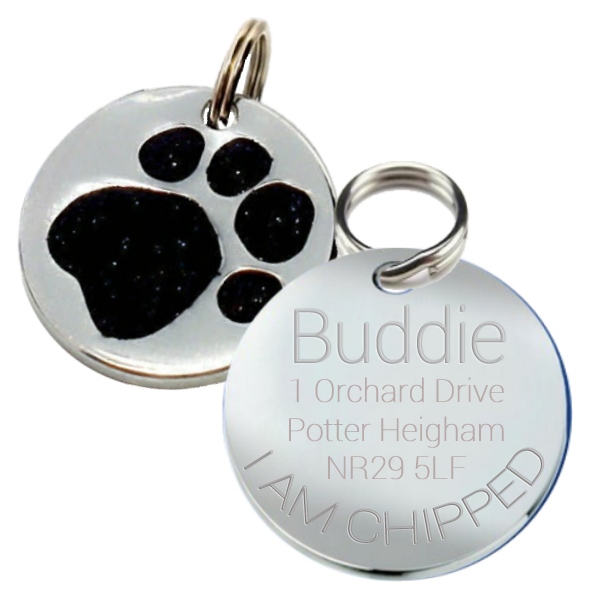 We deep engrave all our tags to ensure your details do not wear away fast.